Ok, so now do you understand? Now do you understand why Jurgen Klopp said that while Lionel Messi’s Barcelona were in action against Roma at the same time, Liverpool against Manchester City was the Champions League tie to watch on Wednesday night. Now do you understand what this Liverpool team is becoming? Now do you understand what Anfield is all about, what it does to red shirts, red minds and red hearts? Pep Guardiola does. Manchester City do. Better than anyone else. 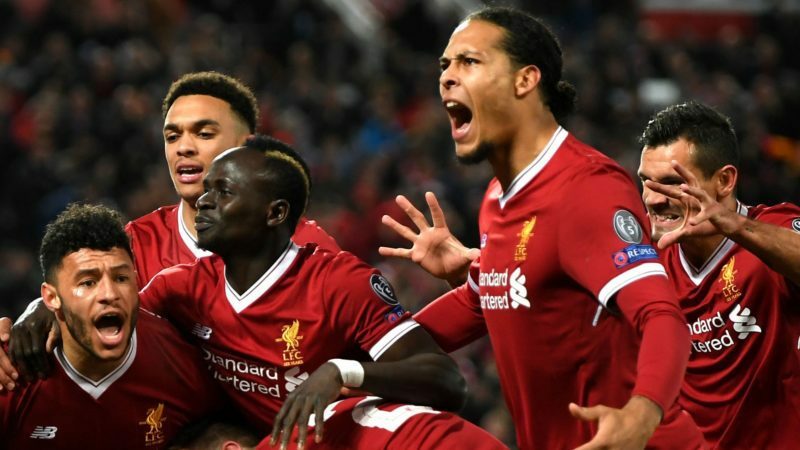 They lost their unbeaten Premier League record on Merseyside in January; now their hopes of conquering Europe have been left hanging by a thread after a stunning 3-0 loss. Ahead of this quarter-final first-leg showdown, we had been promised something special – and boy did we get it. This was a night that will sit comfortably alongside the great Anfield occasions, for certain. To Inter Milan, St Etienne, Roma, Olympiacos, Juventus, Arsenal, Manchester United, Borussia Dortmund and Villarreal, we can add the name Manchester City. What a night! The top line is that Liverpool can almost reach out and grab a semi-final spot. Of all the pre-match predictions from Reds fans, few would have dared ask for this. Three goals and a clean sheet against a team like this? Dreamland. Of course, there was the negative side; the sight of Mo Salah limping down the tunnel with what looked like a groin injury will terrify Kopites (and Klopp), Jordan Henderson’s booking will rule him out of the return at the Etihad, while the scenes outside the ground prior to kick-off, when City’s team bus was struck by missiles thrown by home supporters, was regrettable to say the least. Liverpool issued a statement condemning the supporters responsible, and will assist in any subsequent investigation. That’s for another day, though, and the acts of a few must not detract from the achievement of the many. Liverpool had heroes everywhere here. Think of Alex Oxlade-Chamberlain and James Milner, covering yard after yard, snapping into challenges, playing with fire and belief. Think of Henderson and Dejan Lovren, maligned so often, delivering when it mattered. Think of the ice-cool Salah, of Roberto Firmino and Sadio Mane and Andy Robertson, running themselves into the ground. Think of Trent Alexander-Arnold, the youngest Englishman ever to start a European Cup quarter-final, turning in a performance like this. The 19-year-old has had his struggles of late, but here he marked Leroy Sane out of the game. He was immense. They all were. City, Guardiola’s free-wheeling, free-scoring champions-elect, did not know what day it was. They had no answer to the red wave which engulfed them during a mesmerising first half, and no way through the red wall which greeted them after the break. They set up to control, to nullify the crowd, but once Liverpool settled, Sane, Kevin De Bruyne, David Silva, Gabriel Jesus suffered; Raheem Sterling came off the bench and could do nothing except get booked. Klopp had told his side that “sitting back was not an option” pre-match, and his team heeded the warning. They were ahead inside a dozen minutes, two up nine minutes later and three ahead just after the half hour. It was scarcely believable at times. This is what Klopp promised when he landed on Merseyside; fierce, attacking football, all day every day. When it comes off, and when Anfield is there to appreciate it, there is no better place in the world to be. Unless, of course, you happen to be of a City persuasion. The warning must be sounded, of course. There is still a second leg to navigate, and with Henderson out and Salah doubtful there are problems too. The job is not yet done. Liverpool, though, will back themselves to score in the second leg. They have wedged open the door, now they have to walk through it. And if they do, then they’ll feel they can take anybody. They took City here, and then some.